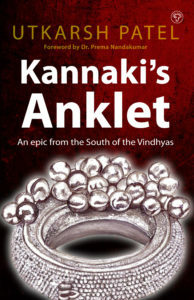 Co Published with Harper Collins India. We live in times where people have extreme views. On the one hand, there are scholars who describe Shiva’s linga literally as a phallus and see all metaphoric meaning as embarrassed apology of the uneducated. On the other hand, we have puritanical Hindus who want to strip the Shiva linga of all sexual meaning and sanitize Shiva’s lore. In both cases, a symbol is being reduced to a sign.In Shiva to Shankara, Devdutt Pattanaik, India’s leading mythologist, seeks to bridge the gap. As he explores the layers of meanings embedded in Shiva’s linga, we discover why and how the Goddess transforms Shiva, the hermit, into Shankara, the householder. Dr. Devdutt Pattanaik has lectured and written extensively on the relevance of mythology to modern man. He has written several books on Hindu mythology. He is a regular in the management seminar lecture circuit. A medical doctor by education and a leadership consultant by profession, he is a mythologist by passion, and has written and lectured extensively on the nature of sacred stories, symbols and rituals, and their relevance in modern times. 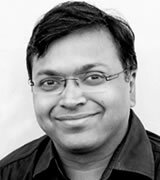 Devdutt lives in Mumbai, India.